Tanzania has achieved Millennium Development Goal 4 for child survival but more needs to be done, under-five child mortality continued to decline over the last 25 years. Infant mortality has decreased from 92 deaths per 1,000 live births in 1991/1992 to 43 deaths per 1,000 live birth in 2015/2016, thus, achieving the MDG 4 targets. Despite of these achievements, about 270 children under-five die every day mainly from preventable and treatable conditions, such as malaria, pneumonia and diarrhea. Between the years 2000 and 2010, under five mortality decreased by 43%, whereas the rate of reduction of neonatal mortality during the same period was 21%. Neonatal mortality in 2013 was at 21 per 1000 live births and contributes to 39% of under-five deaths, with nearly 40,000 new-born deaths every year. Tanzania failed to achieve the Millennium Development Goal 5 of improved maternal survival: The reduction of maternal mortality has been slow. In 2015, the maternal mortality rate slightly increased from 432 in 2013 to 455 in 2016. Neonatal deaths are inextricably linked to the conditions of the mother, services utilization and the quality of care received during pregnancy, delivery and postpartum. The slow decline of both maternal and newborn mortality makes a compelling case for strategic prioritization of maternal and newborn care, especially around the time of delivery. Even though antenatal care (ANC) coverage is high (98%) for the first visit, only 1 in 4 women had their first ANC visit in the first trimester as recommended and only 51% of women make the recommended four visits. Sixty-three percent (63%) of the deliveries occur in the health facilities and 37% of births occur at home. Women with no education, those living in rural areas and those in the poorest households are the most likely to deliver at home. However, there is some improvement as only 50% of deliveries were reported to take place at health facility in 2004-2005. Overall 64% of births are assisted by skilled provider. Only 34% of women receive postnatal care within 48 hours. There is high fertility rate (5.2%) as well as high rate of adolescent pregnancy, with 27% of girls aged 15-19 beginning childbearing. This strongly indicate the importance of family planning and adolescent health services as a prerequisite for reducing maternal deaths. men with no education, those living in rural areas and those in the poorest households are the most likely to deliver at home. However, there is some improvement as only 50% of deliveries were reported to take place at health facility in 2004-2005. Overall 64% of births are assisted by skilled provider. Women who have attended 4 ANC visits, those living in urban areas and the wealthiest households and those with secondary or higher education are most likely to receive delivery assistance by skilled provider. Additionally, only 34% of women receive postnatal care within 48 hours. According to the Health Sector Strategic Plan July 2015-June 2020 high community engagement is required. However, relatively few communities are reached with comprehensive set of interventions. Tanzania is currently developing a formal cadre of Community Health Workers (CHWs) through the Community Based Health Program (CBHP). The CHWs will be responsible to link health facilities to community; and support community led health promotion activities. The CBHP envisions communities with improved health that contribute to socio-economic development. Mission of program is to empower communities and build capacity through sustainable and integrated CBHP to respond to local health needs. Successful development of functional and effective CHWs depends on collaborative efforts of stakeholders including UNICEF. 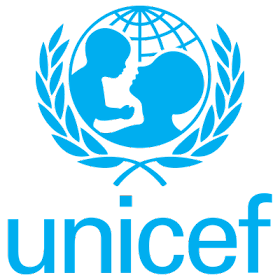 The process demands adequate number of human resources within UNICEF. 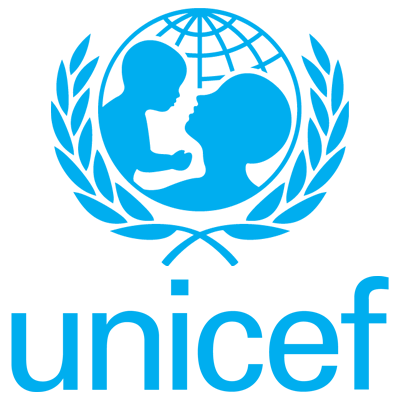 However, UNICEF for this moment has no plan to hire core staff to support community health activities. i. Contribute to UNICEF’s processes of building capacity of the partners implementing CBHP. ii. Contribute in monitoring of UNICEF’s partners implementing community health. iii. Contribute in documentation reporting and sharing information on community health activities. • Bachelor’s Degree in the public health, social/behavioral sciences, (Sociology, Anthropology, Psychology, Health Promotion, community Development) with emphasis on strategic communication planning for behavior development, social mobilization, participatory communication, and research. • Have excellent academic performance as demonstrated by recent university or institutions records. • Additional consideration will be given for any past relevant experience.